Many people choose to retire to Southwest Florida for its beautiful beaches and senior-friendly amenities. Warm weather and less crowded shores than the state’s East Coast make Ft. Myers, Naples and Cape Coral attractive prospects for retirees looking to buy a dream home for their golden years. 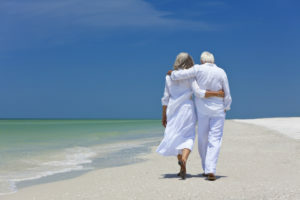 When buying a retirement home in Southwest Florida, one of the many things to consider is what type of title insurance to purchase to avoid any questions of ownership that could overshadow a happy retirement. Title insurance protects the buyer and lender from any doubts as to the seller’s free and clear ownership of the property. Once title is cleared, there is no doubt that ownership can be legally transferred to the buyer. Here are some of the issues that can challenge your ownership if a title services search isn’t made. Most of the premium covers the cost of the search, but a portion of it go to protect you from losing your money if something comes up that wasn’t uncovered in the title search. Before acquiring title services for your retirement home in Southwest Florida, it’s important to understand what’s covered in each type of policy. Lenders Title Insurance. Lenders title insurance covers situations where you lose your home to an unknown lien. This policy only pays off the remainder of your mortgage. Owners Title Insurance. This policy covers the purchase price of the property. If you wish to cover inflation, you’ll need an enhanced policy or inflation rider, which covers any liens filed after the closing date. There’s a one-time fee, unlike other insurance policies. It’s rare that the title company has to pay out a claim, since they spend a lot of time researching whether any skeletons will fall out of the closet after you purchase your home. It’s in the title company’s best interest to protect you and themselves from liens and other ownership disputes against any former owners. Also unlike other insurance policies, your title services include an active role in protecting your interests. During the escrow phase of your purchase, the title insurance company searches through public records to ensure that no one else has a viable claim to your property. The title company scours through wills, deeds and trusts to trace the history of the home back as far as possible. Protecting yourself with title insurance makes sense. It’s worthwhile to find out as much as you can about the history of your retirement home is Southwest Florida. Choose a title company with a proven track record in the area and with the appropriate experience in title searches and challenges. That way, you can get back to more important things, like margaritas on the beach and salsa lessons. 1. Invalid claims of land ownership. Title insurance purpose to protect you from unreliable deeds relating to property titles transfer witnessed among homeowners assumed to be mentally challenged or suffering from other terminal conditions. It ensures that you do not fall a victim of fraud incidents. The title insurance company will fight for your legal rights as a home buyer while strictly adhering to the terms of the homeownership policy. However, in cases where the claims against you prove valid, title insurance will reimburse you the losses suffered. Title insurance protects you from claims, judgments, as well as other forms of accruing debts that may be imposed on you after closing the deal. Title services will provide you with two types of policies that will cover you from both the lender and yourself. Also, the title insurance aims to reimburse you for any losses attributed to title-related incidents that manifested before the purchase was made. Title insurance services will pay off any of your outstanding mortgages. Similar to liens, title search ensures that the closing of the sale is done most efficiently as a home buyer. It will give you a clear title at the closing of the deal. A clerical error negatively impacts any home buying process which may, in turn, result in enormous financial losses. 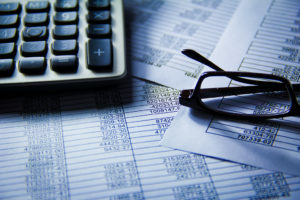 Title insurance services help you determine whether the actual cost of the property bought or that is yet to be purchased is less than what is recorded. Our title search will ensure that possible errors involved are identified. These will ensure that the mortgage company approves your home loan swiftly and efficiently. Title insurance provides that a home may sell at a lesser price than what was stated thus reducing the buying price of a home. Title insurance is the only sure way to which you are assured of investment security when dealing with real estate matters. Title insurance gives you the most reliable insurance coverage. Getting a title policy helps you get rid of your nightmares regarding homeownership. Our impressive records of success are attributed to our expertise that always purposes to put your interest at heart, giving you the right to claim what rightfully belongs to you. Give us a call today and experience the unique service offered by title insurance. We offer you the best strategy that safeguards your desires to own a home. Let us help you secure that dream home!! Do I Need Title Services If I am Selling My Home Myself? Selling a home without assistance is a complicated and time-consuming process that many people take on to increase profits. It can be tempting, when trying to be frugal, to bypass many of the professionals that are available to help in the sale of your home. Despite the allure of money saved, title services are something you definitely don’t want to skip. The services provided by title companies not only take much of the stress and complication out of the transaction, having professionals at your side could also save your sale. Title insurance gives you, and the buyer, a guarantee that there are no outstanding claims against your property before the sale. The title company searches the title history of the property to find any claims that must be handled before the title can be transferred. Once these obligations are addressed, the buyer can receive the title freely and the seller can walk away knowing all debts on the property have been paid. Escrow services are available to protect the money and property interests between the buyer and seller. An escrow account is set up to hold any money that is related to the sale. The title company is responsible for ensuring that the title, and money, is disbursed to the correct parties at the appropriate time. This guarantees the title won’t be released to the buyers until all money has been paid, protecting the sellers’ interests. The close is probably the most exciting part of the process. This is usually the moment when all parties sign the required documents, the sale is finalized, and the keys and money exchange hands. Because this meeting comes at the end of the transaction, it is extremely important that everything run smoothly. All parties are invested at this point of the sale and a significant amount of work has gone into making the transaction happen. The title company will host the close by providing the meeting place for the buyer and seller to work out any remaining details. The title company’s additional closing services include handling the paperwork, distributing money, and executing and recording the deed. 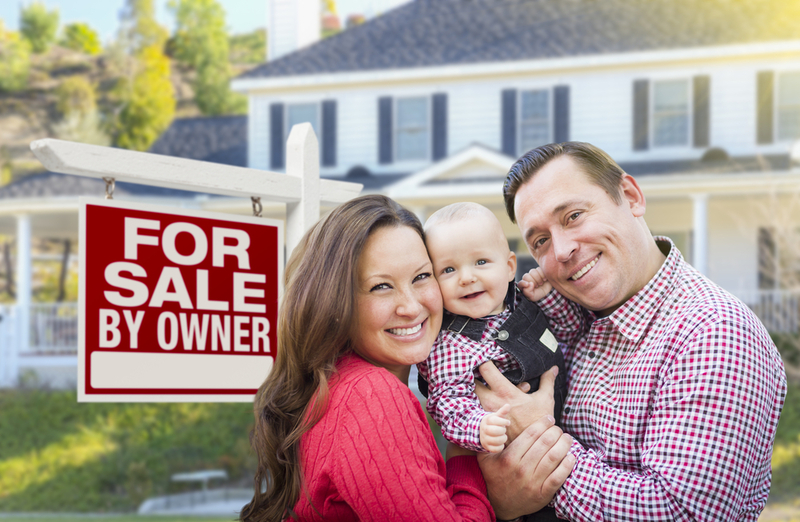 Without the use of the title company, sellers are responsible for ensuring there are no claims on their property, must navigate the financial transaction alone, and are responsible for handling their own close with the buyer. Buyers may be less trusting without a title company involved and there is always the potential that something was missed during the title search, a mistake is made with the purchase funds, or that a mistake is made during the close. Any one of these things could cause you to lose the sale and put you back at square one. If you’re considering selling your home yourself, or already have your home on the market, and don’t yet have the a title company to assist you, it’s not too late. Find a title company today so you can focus on what’s really important: finding the right buyer and deciding what to do with the next chapter of your life. I am Buying a Home. Do I Need Title Insurance? When you buy a home, there are a lot of fees and costs associated with the purchase – it’s not as simple as just writing a check from your mortgage lender to the seller. One of the costs you’ll see as you approach the closing process is Title Insurance. Unique to home ownership, title insurance is an extra layer of protection for the buyer. While there are a few that recommend saving the money, choosing to purchase title insurance is a smart move and one that you should not skip. Title insurance protects you, the buyer, from losing your investment (the down payment and the loan for your new house) in case there are any liens or defects with the house title. Although the real estate company and your mortgage lender will run title searches, sometimes things are missed. When you purchase title insurance, is the house title is fraudulent, or if there are charges taken out against the house. For instance, of the previous homeowner had some remodeling or repairs done on the house, and didn’t fully pay the contractor, the contractor will take out a lien on the house. This is a judgment of fees owed to the contractor, that must be settled before the title can change hands. Basically, it forces the potential seller to pay their debts before they can sell the property. If the seller owes back taxes on the property, then a tax lien will be taken out on the property. 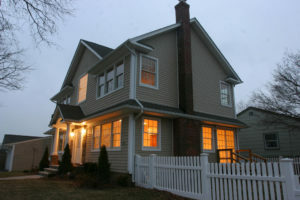 The same thing applies – in order for the seller to complete the closing transaction, the tax fees must be paid. Title Insurance ensures that the title insurance company, not you the buyer, will be responsible for settling these debts. Typically, title companies require the seller to settle these debts prior to closing, so that the title is free and clear. 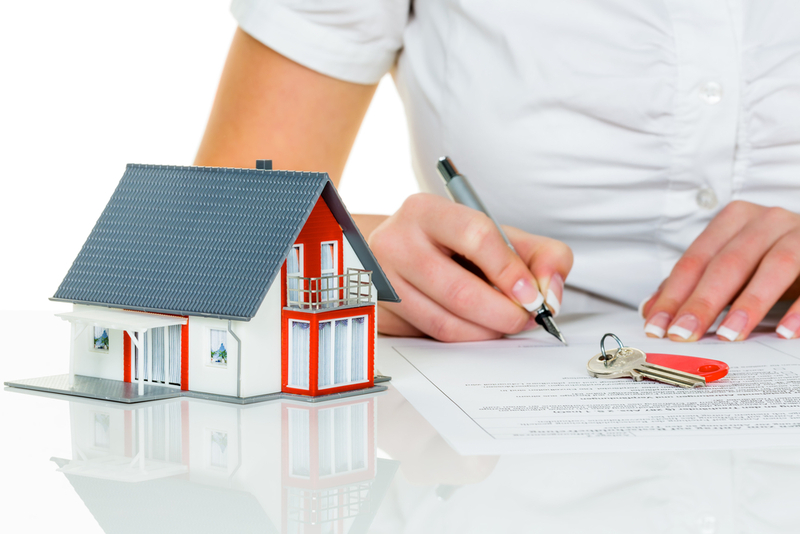 Why should a buyer purchase title insurance? Mortgage lenders are required by law to have title insurance for the homes that they approve loans. A buyer may choose to purchase their own separate insurance. So, if the lender already has the insurance, what are the advantages of a buyer purchasing their own policy? 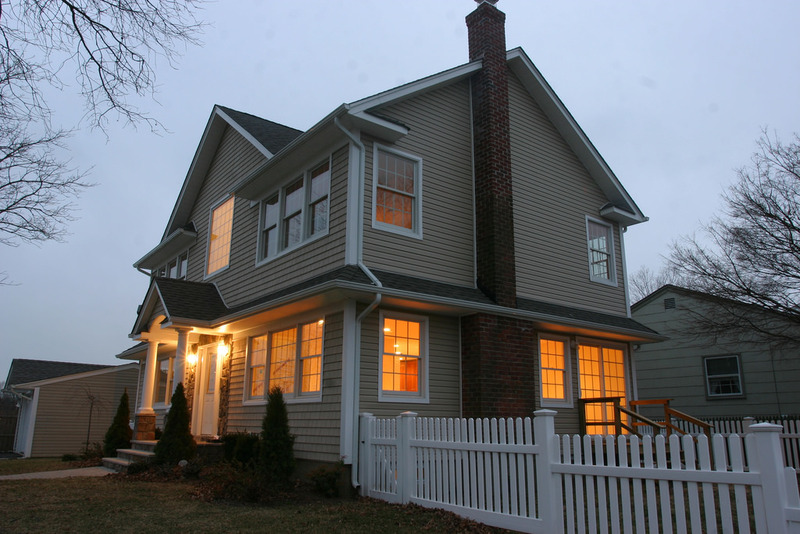 If there is an issue before or after closing with the home, you are personally protected from prior liens. The title company will be responsible for taking care of the debts. If there are errors or fraudulent aspects to the title, or if it hasn’t been properly reported to public records, then you are protected. If the previous owners’ heirs show up and lodge a claim against the property, you, the buyer, are protected. There is also an extended coverage option, which covers building permit violations, or structural damage. It also protects against zoning issues and incorrect survey. If a lawsuit is filed due to these, the extended coverage covers your down payment, and principal payments you’ve made, and any additional work or improvements you’ve made on the property. If you have doubts about the security of your home title, especially if you plan to do extensive remodeling and renovations – investing more of your money on top of the purchase price – then you should definitely purchase title insurance. Typically, it costs around $2 for every thousand of the selling price, and that small investment is usually worth it for the buyer’s peace of mind. A mortgage is a very heavy responsibility, and on that will stay with you for the next couple decades. It’s important to make sure that as a purchaser all of your bases are covered. Forgetting small details, like neglecting to find title insurance, can throw a wrench in the purchasing process. It’s important to ensure the mortgage loan goes through without a hitch and nothing disrupts the sale. Here’s an explanation as to why a small, inexpensive detail like title insurance is so important when buying a home. According to the Consumer Financial Protection Bureau, title insurance protects lenders from title issues. Every home’s title must be searched thoroughly before a purchase or sale is made. Sometimes, however, details slip through the cracks. 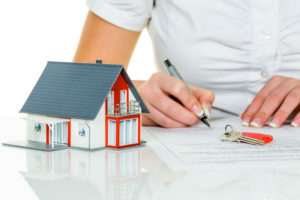 In rare cases, property deeds from sellers prove to be falsified, there can be undiscovered liens on the property that affects its sale, or inheritance disputes can put your ownership in question. For these reasons, homeowners are required to have title insurance on their mortgaged property. How is Title Insurance Used? 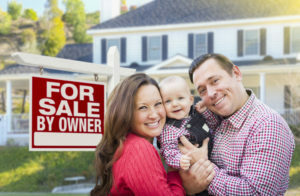 https://heightstitle.com/wp-content/uploads/2017/10/first-time-home-buyers.jpgStandard title insurance policies are designed to protect a bank’s investment, not your investment. If ownership of your property were to come into question, it is the bank’s responsibility to work with you to file an insurance claim that will pay off your mortgage loan and absolve you of responsibility for the mortgage payments. The bank holding your mortgage must make a claim against the insurance policy with your help. The insurance company would pay the bank for the loan amount on the property and you would walk away. There are ways that you can protect yourself from walking away empty-handed, though. Homeowners can protect their own interests with an expanded owner’s title insurance policy. Why do you need lender’s title insurance? Title insurance is the only thing protecting banks and homeowners from taking a huge loss in the event of an unforeseen circumstance that would make their home purchase invalid. Insurance companies and banks require a thorough title search to be performed before a mortgage loan contract can be signed. When the title search is complete, all parties are generally satisfied that the sale of the property is legally permissible. That isn’t always the case, though. If ownership of the property is challenged by a person with a legitimate legal claim, you will probably lose your home. Without title insurance, you would also lose all of your equity. You would walk away essentially penniless. If you buy title insurance, your insurance company will make it right with the lender. If title insurance is designed to help banks, why don’t banks pay for their own insurance? Lender’s title insurance is your legal responsibility. You cannot secure a mortgage loan without it. Lenders simply will not allow you to keep a mortgage with their companies without maintaining a policy throughout the life of your loan. It’s true that standard policies only protect lending institutions from title claims. You can, however, purchase your own owner’s title insurance policy. Owner’s policies allow homeowners to walk away from a title claim with money in their pockets. If purchasing a home is on the horizon, look into the price of securing a policy now. First time homebuyers are encouraged to contact us today for a quote on lender’s and owner’s title insurance.